That vicious crossover Russell Westbrook pulled on Marco Belinelli over the weekend? Pretty impressive, but it’s still got nothing on the crossover Cadillac has up its sleeve. The automaker has just released images of its first-ever planned electric vehicle, just days after GM announced Cadillac would become its lead EV brand. It boasts a sleek, futuristic, Blade Runner vibe. And that’s about all we know about it. Cadillac apparently won’t be sharing any other details — no specs, no name, nada — beyond the photos. More info will be revealed “closer to launch,” they say. That sounds like the new EV could be hitting the showroom floor any day now. The vehicle will use GM’s “BEV3” next-gen platform, which the company plans to use for a number of electric cars going forward. That platform is meant to be flexible enough to be used for several different vehicle types, and will accommodate all-electric, front, rear, and all-wheel-drive configurations. 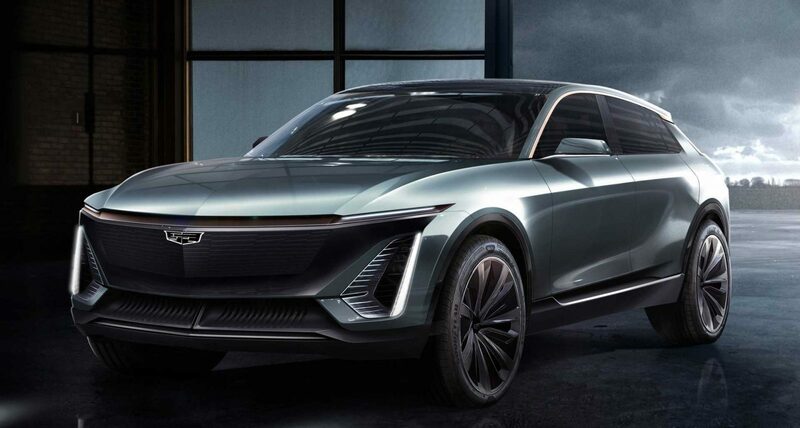 Cadillac’s new EV is one part of an aggressive rebrand for the automaker. After unveiling the new XT6 crossover the North American International Auto Show in this week, the brand hinted at upcoming reveals of a future Escalade and new performance sedan. “Overall, Cadillac will introduce new models at the rate of roughly one every six months through 2021,” the company says. Bring it on, we say.